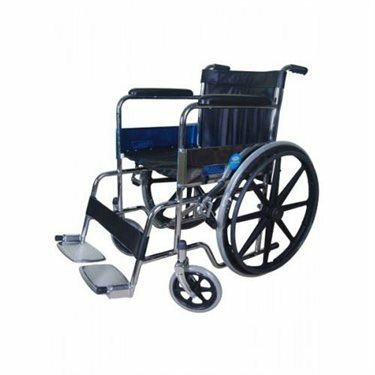 Karma Healthcare Fighter C-MAG-F24 Standard Wheelchair is a very basic, no-frills, inexpensive wheelchair. Comfortable chair and the patient will be able to sit in the chair for hours at a time. It has leather-like polyester fiber material for the bottom and back and chrome plated metal frame and is ideally suited for indoor use. It is an extremely comfortable chair and the patient will be able to sit in the chair for hours at a time without any discomfort.